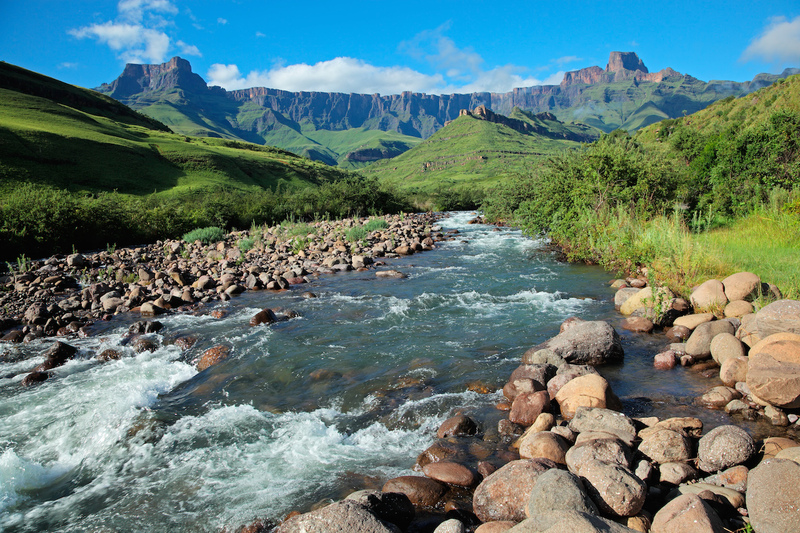 Natural landscapes provide ecosystem services to the country that have considerable economic value, like the water catchment services provided by the high-altitude grasslands in the Drakensberg Mountains. © EcoPrint, Shutterstock. Policymakers need to respond by ensuring these systems are protected, especially since the very activities which give them such value are often the same activities which undermine them in the long-term. For instance, many estuaries along the coast are losing their potential as fish ‘nurseries’, as over-extraction of river water upstream of the estuary means there isn’t enough fresh water flowing out into the sea to allow for estuarine fish stocks to thrive. Recreational fishing in estuaries by anglers has also undermined fish stocks in these important nursery areas.